Take a Word asked for ORGANIC and I tried a different approach working with some of my own photos. 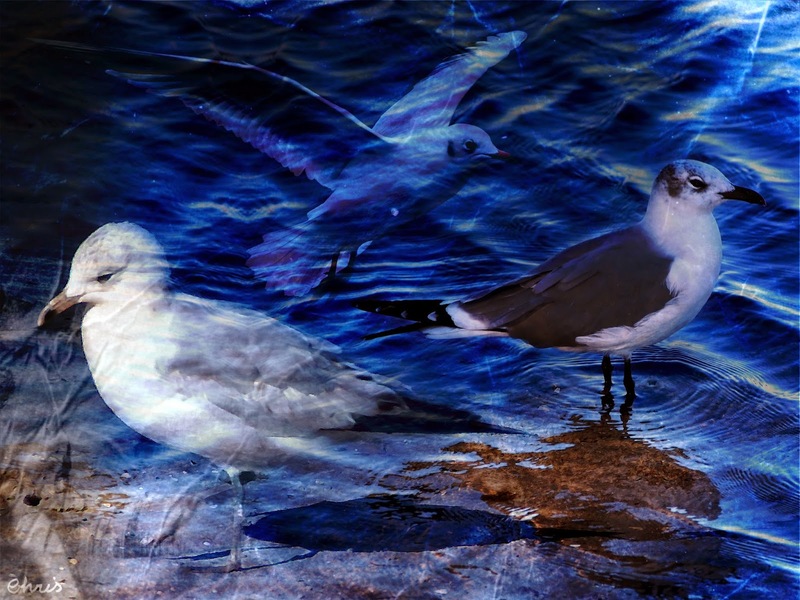 Textures: Elné; flying seagull: free wallpaper. Beautiful works and true quote, Christine. i totally like your photoeditings! 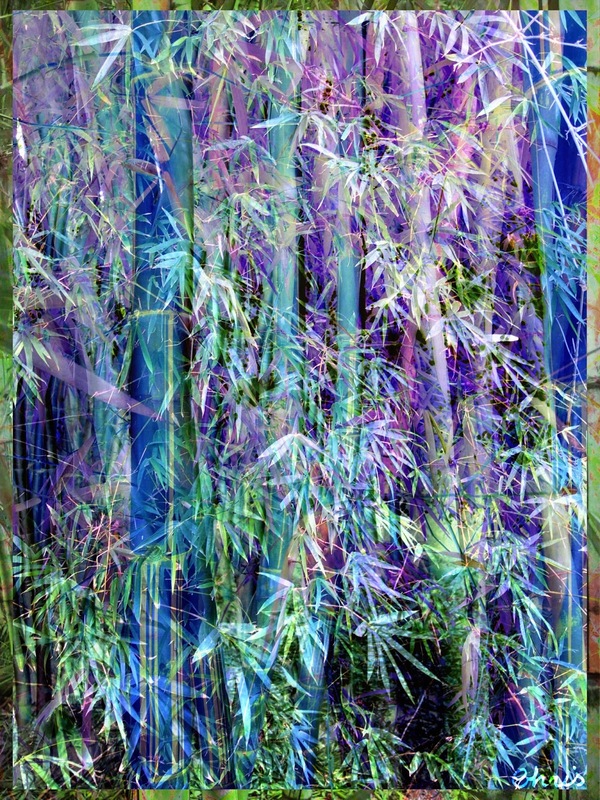 I love the colors in your bamboo piece, Chris, and the blue of the sea birds (who are apparently not speaking to each other!). The quote is a new one to me, and I like it very much. Nice work! Your first picture is marvellous, love the colours and the mystery of it. I like your birds too, they look very purposeful. Both of these are beautiful! The blues are so nice to see now that we are having so many gray days here. These are wonderful Chris I adore the layering and the color...the seagull picture has real depth...beautiful work. Both are beautiful, Chris, it's nice to see this new technique.